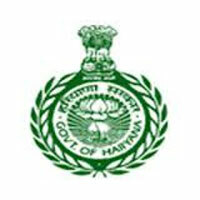 Haryana Staff Selection Commission (HSSC) invites Application for the post of 1074 Excise Inspector, Taxation Inspector, Welfare Organiser, Clerk, Driver, Tracer, Assistant Draftman, Junior Draftsman, Field Investigator, Junior Engineer, Dispenser, Statistical Assistant, Company Commander, Platoon Commander & Various Vacancies on direct recruitment basis. Apply Online before 17 February 2016. For Post 3 to 6, 18 to 24 : Candidates have to pay Rs. 100/- for Gen (Male/ Female), Rs. 50/- for Gen (Female of Haryana resident only), Rs. 25/- for male of SC/ BC/ SBC/ EBPG candidates of Haryana State only, Rs. 13/- for Female of SC/ BC/ SBC/ EBPG candidates of Haryana State only. Candidates have to pay the fee through Net banking or e-Challan in any branch of State Bank of India, State Bank of Patiala, Punjab National Bank and IDBI Bank after 48 hours of registration of online application form. For Post 1, 2, 7 to 17, 25 to 50 : Candidates have to pay Rs. 150/- for Gen (Male/ Female), Rs. 75/- for Gen (Female of Haryana resident only), Rs. 35/- for male of SC/ BC/ SBC/ EBPG candidates of Haryana State only, Rs. 18/- for Female of SC/ BC/ SBC/ EBPG candidates of Haryana State only. Candidates have to pay the fee through Net banking or e-Challan in any branch of State Bank of India, State Bank of Patiala, Punjab National Bank and IDBI Bank after 48 hours of registration of online application form. How to Apply : Interested candidates may apply online through HSSC website www.hssc.gov.in from 18.01.2016 to 17.02.2016.